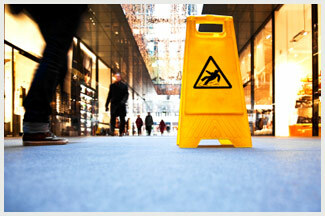 Premises Liability Law | Law Offices of Alfredo J. Perez P.A. Shopping center owners, building owners, landlords and homeowners have an obligation to make sure their premises are reasonably safe and secure for all those who enter. When an individual is injured due to negligent maintenance of premises or when a lack of building and parking security leads to an assault, The Law Offices of Alfredo J. Perez, P.A. will represent the victim in a premises or security liability case. Our attorneys consult safety experts and security professionals in order to expose negligence on the part of retailers, apartment managers and parking garage companies. We identify what should have been done to increase security, explaining to juror’s common practices and concerns that constitute “Best Practices” in the security industry. At The Law Offices of Alfredo J. Perez, P.A., in Miami, FL, a premises liability attorney will be happy to speak with you about your case – contact our offices for a free consultation. Knowledgeable premises liability attorneys: Premises liability and security litigation requires skill and experience in understanding safety requirements, including local, state and federal building codes, and an understanding of foreseeable risks, hazards, and safety procedures on both business and residential properties. Our firm offers the resources and the commitment needed to fully litigate difficult cases, through trial and when necessary, appeals. Successful litigation of premises liability and security cases often involves engineering, safety and medical experts, who testify on issues ranging from coefficient of friction for flooring, construction design including proper lighting and railings, to the level of police and security protection required in public places. The Law Offices of Alfredo J. Perez, P.A. attorneys and staff fully investigate and prepare the details in premises and security litigation cases. This preparation allows us to offer powerful representation for our clients.